There are many important business considerations for disaster planning. While disaster type, probability, and severity will vary from business to business, the importance of preparing and planning for minor and major business interruptions is uniformly critical. Many businesses forgo or defer disaster recovery and/or business continuity planning on the basis that the likelihood of a disaster is small and they’ll deal with it when it happens. Unfortunately, the consequences can prove far more severe than short-term downtime and lost sales revenue. Business relationships can be destroyed and customers lost if they are able to continue business with competitors who were better prepared. Damage to your hard earned business reputation and credibility can prove ruinous. Social media, aided by your competitors, will ensure that the market and prospective customers are fully aware of even the most minor interruptions and reliability issues. You should reflect on potential scenarios and their consequences. What would happen if a key employee took sick or unexpectantly left? Could you survive the loss of your computers or other equipment if they were damaged or stolen? How would you recover your business data and software applications in the event of a hard disk crash or virus attack? What would you do if your power, mail, courier, internet, or phone services were interrupted? focus and is concerned with the recovery of your business data, software, hardware, and communications. In contrast, business continuity is much broader and addresses the recovery of all aspects of your business operations including human resources, communications, business processes, safety, and, if necessary, office relocation. Ensure your business data is backed up both onsite and offsite. Schedule data backups as frequently as is practical. Investigate and employ, where practical, cloud (web-based) services. data can be successfully restored. 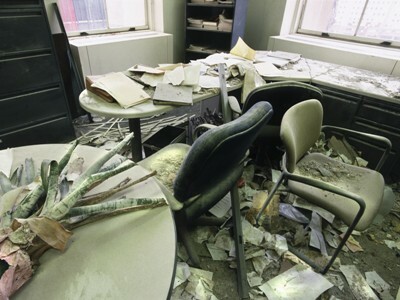 Define and document a plan for on- and off-site system recovery (fail-over). systems, applications, ISP account, wireless router, networks, and BIOS. versions, and license and activation keys for reinstallation. and domain information, server and printer names. Mail client configuration and information. Support phone numbers for all hardware and software. 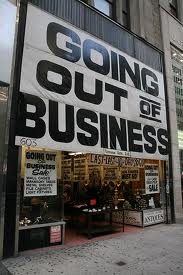 Canadian small businesses face a serious test of survival in their early years. Recent Statistics Canada data shows that almost two-thirds of small businesses with revenues under $30,000 fail within five years of their start-up. Why is this? In daily discussions with small businesses, I’ve learned that they are confronted with a myriad of ever changing risks. Some risks are more visible than others. Business owners typically focus on external risks that include market changes, competitive and regulatory activity, rising costs, and funding shortfalls. Fortunately, many of these business risks can be mitigated in a comparatively simple and cost-effective manner. Defining and documenting your day-to-day business policies and procedures provides a very effective insurance against these risks. Documentation ensures that your hard-earned business knowledge is protected, shared, and levered more effectively. It also provides important strategic advantages for future business growth, franchising, third-party investment, and business sale opportunities. On-line business documentation, including wikis, offers a number of additional benefits including enhanced accessibility, maintainability, ease-of-use, keyword searching, dynamic cross-referencing, and multi-media support. Whether documented in-house or through a documentation consultant, the documentation process begins with a business risk assessment to prioritize your process definition and documentation requirements. Business risk should be evaluated in terms of both its probability and severity. This allows you to prioritize and focus on high-value and high-use documentation. The documentation process also serves to raise your awareness of potential business workflow and process control gaps which can then be simultaneously defined and documented (e.g., customer service policies, financial controls, and disaster recovery plans). Business documentation is critical to empowering your staff and management so that business operations and growth are no longer held hostage by your day-to-day availability. You should reassess and reprioritize your business documentation requirements if you want to build a credible, scalable, and profitable business.